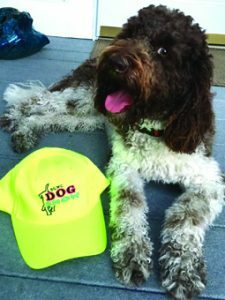 The Boca Grande Woman’s Club Dog Show is back! Boca Grande canines of all sizes, breeds, pedigrees – from pure breeds to mixed, mutts and rescues – are welcome. Registration forms can be found at the Boca Grande Community Center and Island Dog Boutique & Supply Company on East Railroad Avenue, or email kansas1@aol.com, and an application to print and send will be emailed to you. All entries are due by Friday, March 8. A custom-made poster featuring your treasured pet is also available to purchase, and the proceeds support the event. For information on purchasing a poster contact s.allgyer@comcast.net.